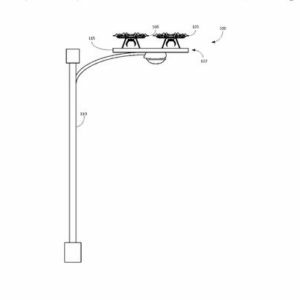 This week Amazon was granted a patent for a drone delivery network concept. 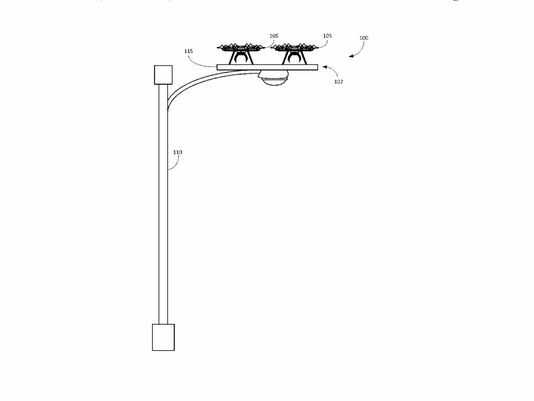 The patent shows platform “stations” that could attach to light poles or other tall surfaces. They’d be either a final destination for package delivery (if the post was outfitted with a vacuum tube, dumbwaiter, elevator, or conveyor), or a spot where drones could charge up or trade packages (a la The Pony Express). Who knows if it’ll happen, but you’ve got to admit it’s a creative idea. If you haven’t heard about it, Canva is a free web tool that lets you create some really professional looking stuff (with either free art/photos or you can purchase fancier stuff) without having to know Photoshop. Well, this week Canva came out with an iPhone app making even easier to make your own memes. I only learned about Canva recently myself, but I’ve gotta say, it’s pretty cool. In a blog post, the Tesla founder revealed the long-range plan for the company. He’s still betting heavy on solar, envisioning homes generating and saving their own power, but he’s also talking about semi trucks, Tesla sharing, and a fleet of autonomous taxis. TechCrunch has a nice, quick, slideshow of the key parts of the plan. You’ve gotta hand it to the guy—he’s truly a visionary. 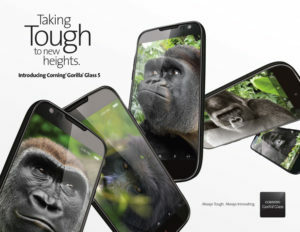 Corning’s latest Gorilla Glass (Gorilla Glass 5) is coming to devices this fall. Since the last iteration rolled out a few years ago, their research has focused on creating a product that can withstand drops. And, according to Corning, the newest version almost 2 times better at surviving (read: not cracking) drops of 1.6 meters. Sign me up! You shouldn’t be using Adobe Flash anyway, but you haven’t disabled it yet, you soon won’t have a choice—Firefox will be automatically turning off all Flash “not essential to the user experience” next month by default. They tried streaming a few years back and it failed, but they’re going to try, try, try again. They’re just trialing Redbox Digital with a few customers, “to complement” their kiosk rental business There’s no details on pricing or the catalog of offerings yet, but as Variety points out—the “streaming rentals will likely be significantly more expensive than the $1.50 Redbox customers currently pay for physical disc rentals.” More details are likely to come in the next few weeks.